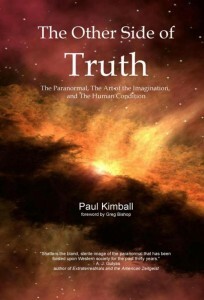 In The Other Side of Truth, filmmaker Paul Kimball crosses the Rubicon of the imagination to explore the idea that what we call the “paranormal” is actually a form of performance art created by an advanced non-human intelligence to make us think about who we are, where we have been, and where we are going. Using his own journey of discovery as the backdrop, Kimball puts forward the “other side of truth” – the world not as we have been told it is, but as we are being encouraged to imagine it could become. Original print price of $15.95. Prices vary depending on outlet. Order from Redstar here; Amazon US here; Amazon Canada here; Amazon UK here; Barnes & Noble here; Kindle version here; Nook version here; Kobo version from Chapters (Canada) here; Sony e-reader here. 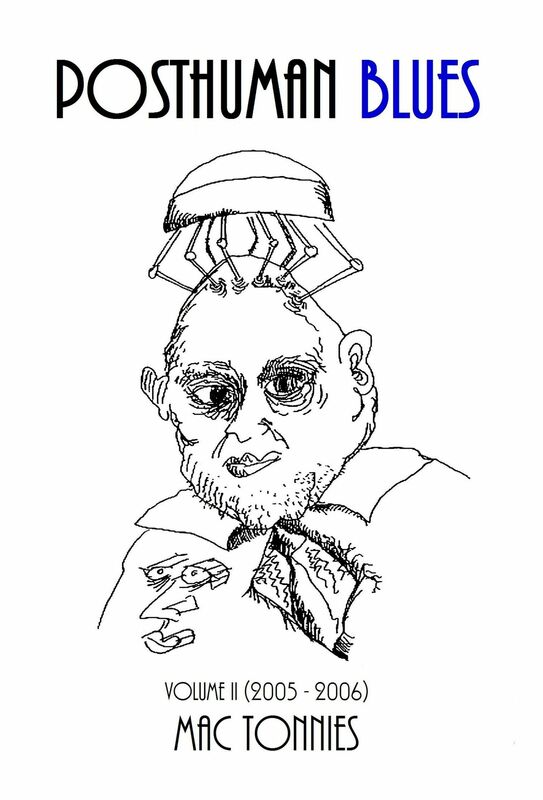 Posthuman Blues is the edited version of the popular weblog maintained by author Mac Tonnies from 2003 until his tragic death in 2009. Tonnies’ blog was a pastiche of his original fiction, reflections on his day-to-day life, trenchant observations of current events, and thoughts on an eclectic range of material he culled from the Internet. 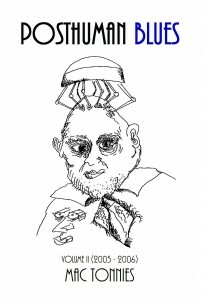 What resulted was a remarkably broad portrait of a thoughtful man and the complex times in which he lived, rendered with intelligence, imagination, and a wickedly absurdist sense of humor. Original print price of $17.95. Prices vary depending on outlet. 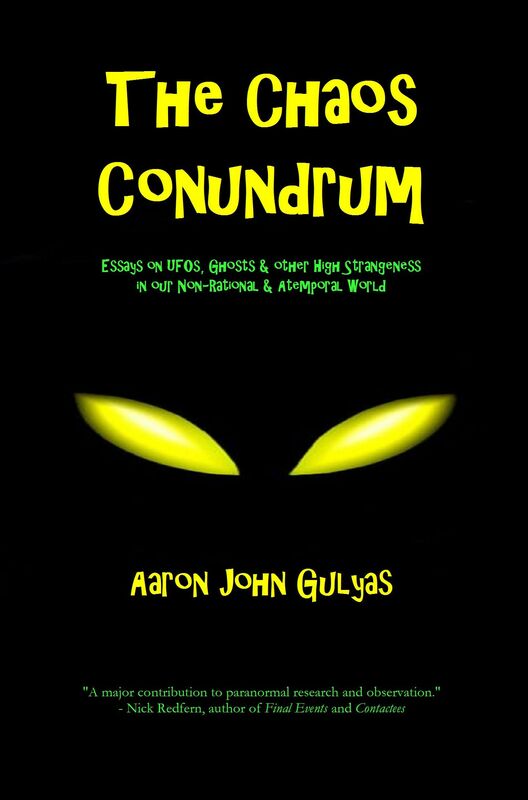 In The Chaos Conundrum, historian Aaron John Gulyas examines how the paranormal has intersected and influenced our culture in myriad ways, from the conspiracy beliefs of William Cooper and Exopolitics to the challenge that the stories of Gray Barker presented to our concept of self and time. 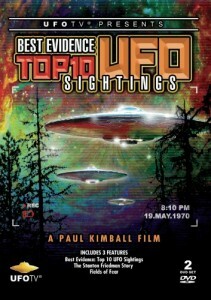 He looks at the maelstrom of personalities, agendas, impressions, data, confusion, and contradictions that can be found in the world of the weird, and demonstrates how they have become an integral part of our lives, whether in the form of flying saucers, hauntings, religious revelations, psychic abilities, or dozens of other guises. Gulyas delves into the stories of the people who have attempted to create order out of the chaos. 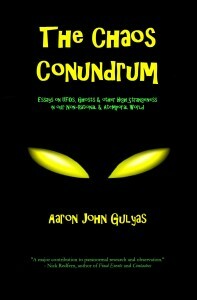 Along the way he recounts his own journey from enthusiastic believer in the “shadow government” and their underground bases to jaded academic skeptic, and then finally to someone who thinks there might just be something to the paranormal after all… but not what we have been led to expect or believe! Original print price of $9.99. Prices vary depending on outlet. Order from Redstar here; from Amazon US here; from Amazon UK here. 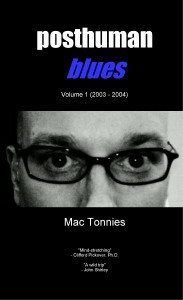 The second volume of Posthuman Blues is a compilation of the best and most thought-provoking work by Mac Tonnies from his popular weblog, which he ran from 2003 until his tragic death in 2009. This volume covers the years 2005 and 2006. 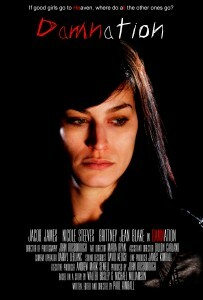 The result is a pastiche of original fiction, poetry, art, photography, observations about day-to-day life in the American midwest during the first decade of the 21st century, and trenchant commentary on current events and subjects that he found of interest, many of which were related to the paranormal, futurism and posthumanism. It presents a compelling portrait of a thoughtful man and the complex times in which he lived, rendered with intelligence, imagination, and a wickedly absurdist sense of humor.